The contemporary model of international investment agreements (IIAs), enforced through investor-state arbitration, is in turmoil, if not in crisis. An UNCTAD International Investment Arbitration Issues Note published in mid-2014 identified four pathways that had emerged: maintaining the status quo; disengaging from the regime; introducing selective adjustments; and engaging in systematic reform. 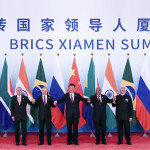 In recent years Brazil, South Africa and India, three of the large and ascending powers from the global South known colloquially (alongside with Russia and China) as the BRICS, have been proactively rewriting the rule book for the international investment regime and defining their own norms, rules and institutions. All three states are capital exporters with expanding and globally integrated economies. They also have domestic imperatives to address poverty and environmental degradation and to develop ‘sustainable’ economies within their democratic polities. Each approach is unique, but all three (at least initially) has eschewed the standard model of IIAs on the ground that it unduly privileges the rights of foreign investors over state sovereignty, sustainable development and public policy objectives. Their alternativesalso share a normative premise that the state must retain effective regulatory capacity if it is to realise whatever benefits foreign investment can offer. Brazil, which is unencumbered by classical bilateral investment treaties (BITs), has begun negotiating a different model it calls ‘Agreements on Cooperation and Facilitation of Investments’. South Africa is withdrawing from existing agreements as and when it can, and its parliament has passed the Protection of Investment Act 2015 that provides recourse for both domestic and foreign investments to its national courts, in a manner consistent with the post-apartheid constitution. 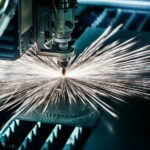 India opted to develop a new model BIT for future negotiations, including with the United States (US) and European Union (EU), each of whom has its own template. As of 2015 India had reportedly signed 84 IIAs, all but ten of which were in force, along with a small number of economic integration agreements. Unlike South Africa, India has not withdrawn from BITs nor announced a formal moratorium on new investment agreements. Indeed, the latest was signed with the United Arab Emirates in late 2013 and came into force in August 2014, while the new model BIT was being developed. It sent decidedly mixed messages about India’s position. The rules on national treatment, most-favoured-nation and fair and equitable treatment followed the old-style provisions. The broad definition of investment and commitment to unrestricted capital flows even led commentators to warn of problems re-regulating substantial illicit hot money flows from the Gulf States, and that other countries where the BIT allowed India to use balance of payments restrictions, notably Japan, could receive the same treatment under the MFN rule. India’s reform initiatives illustrate the internal tensions that can arise when governments contemplate radical change. India originally opted for a new model BIT that rewrote almost all the traditional rules. The consultation draft that was released in April 2015 was a radical, innovative and provocative document. In what seems to be a victory for India’s trade ministry, the final version released in December 2015 is comparatively orthodox. The starkest change in the revised BIT is the removal of almost all its innovative social protections. Under the draft the investor’s enjoyment of rights under the BIT, and the ability to bring an investor-state dispute, were conditional on compliance with certain ‘fundamental’ obligations of social responsibility. These related to: corruption; disclosure of information and sources of funds; taxation liabilities; compliance with laws of the host state, including labour, environment, human rights, conservation of natural resources, consumer protection and competition; and corporate governance. 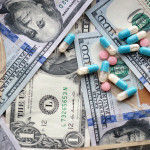 That was replaced by an anodyne requirement for the investor to comply with host state laws. Gone, too, was a unique attempt to enforce civil liability on investors in their home country courts for ‘the acts, decisions or omissions made in the Home State in relation to the Investment where such acts, decisions or omissions lead to significant damage, personal injuries or loss of life in the Host State’. This was clearly informed by India’s inability to hold Union Carbide to account for the Bhopal disaster in its domestic courts or those of the US. The home state would be required to ensure its legal system and rules allowed for, and did not unduly restrict, such civil actions on their merits in the domestic courts. In the draft version, an investor had to show compliance with its mandatory social responsibility obligations when filing a dispute. Any award in an investor-state dispute had to take account of any breach of the social responsibility obligations; the host state could counterclaim for failure to meet those obligations and seek a declaration, enforcement or monetary compensation. In the final text, investors must simply ‘endeavour to voluntarily incorporate’ recognised international standards of corporate social responsibility into their practices and internal policies. The draft general exception also attempted to make the necessity of an intervention on one of the stated grounds (such as public health, public morals and improved working conditions) self-judging. It has reverted to the standard and inadequate formula used in the General Agreement on Tariffs and Trade (GATT) and General Agreement on Trade in Services (GATS). 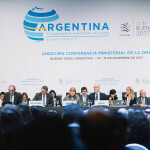 Part IV of the draft and final versions provide for ISDS on disputes arising under the BIT. Arbitration was originally restricted to the United Nations Commission on International Trade Law (UNCITRAL) rules unless otherwise agreed; the final version also recognises the more frequently used and criticised jurisdiction of the World Bank’s International Centre for the Settlement of Investment Disputes (ICSID). Tribunals cannot review the merits of judicial decisions or hear cases subject to state-state disputes. The process retains several novel requirements. An investor can only give notice of a dispute if it has exhausted all judicial and administrative remedies, or can show there is no local remedy capable of reasonably providing any relief in the matter for which the breach is claimed. 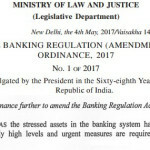 There are very tight time limits: domestic legal action must be lodged within a year, and must normally run for five years, followed by a one-year window for bringing an investment dispute. 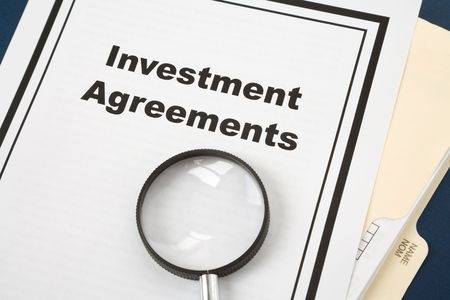 The Notice of Dispute must show the investor has complied with these requirements. The memorandum issued alongside the final BIT indicates the backstory to the revision. Responsibility for investment negotiations was transferred from the Department of Commerce to the Department of Economic Affairs ‘to ensure convergence between trade and investment issues’. Unlike South Africa, and to a less extent Brazil, it appears that external foreign policy and economic interests in securing more formal international arrangements has prevailed. India is not part of the Asia Pacific Economic Cooperation (APEC) group. Negotiations with the US for a BIT have meandered since 2009, with protection of intellectual property rights especially fraught. Talks were delayed while the Obama administration revised the US model BIT, restarted in January 2015 in anticipation of the US President’s visit to India, and were suspended again after India’s model BIT was released. 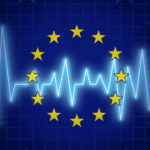 Negotiations with the EU for a broad FTA began in 2007 and stalled over a range of issues, including investment. 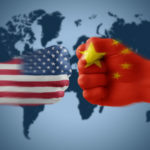 The final version of the model BIT is not that different from the Trans-Pacific Partnership Agreement (TPPA) and the EU’s proposed investment chapter for the Transatlantic Trade and Investment Partnership (TTIP), aside from the enforcement process. At a time when the international investment regime faces unprecedented challenges it is important that these BRICS are reasserting state power: South Africa by unilateral means, Brazil by mutual agreement, and India in a muted way through heightened role for the domestic courts. But it is worrying that the social rebalancing is much weaker. Only South Africa has provided serious and meaningful social protections, at least on paper. India’s draft BIT promised something equivalent, but failed to deliver. Brazil’s social protections were always weak. These precedents certainly show states can exit from binding, long-term investment treaties and create various new alternatives. Brazil has the most options and can remain selective about which countries it negotiates with. South Africa’s unilateralism avoids the need to negotiate with anyone, yet its existing BITs still leave it captive of the old regime unless and until it can withdraw from them all. Sadly, India appears to have capitulated to old power. It is unclear where this may lead. The prospect that alternative approaches to investment agreements may genuinely rebalance the economic and the social through an activist state and escape the legacy of colonialism and imperialism can no longer be dismissed as fanciful or extreme. Nor is it inevitable. The other two BRICS, Russia and China, so far remain marginal to the re-making of international investment law, and are discussed later in the paper. Kavaljit Singh “India-UAE Investment Agreement: Why such desperate haste?” (Global Research, 6 January 2014) www.globalresearch.ca/india-uae-investment-agreement-why-such-desperate-haste/5363937, accessed 1 March 2016. Kavaljit Singh “What can India learn from its investment treaty with the UAE?” (East Asia Forum, 4 December 2014). Joel Dahlquist and Luke Eric Peterson (2016) “Analysis: In Its Final Version of New Model Investment Treaty, India Dials Back Ambition of Earlier Proposals – But Still Favors Some Big Changes” (International Arbitration Reporter, 3 January 2016). Articles 9 to 12, draft BIT. Upendra Baxi “Mass Torts, Multinational Enterprise Liability and Private International Law” (1999) 276 Recuiel des cours 301. Article 12, final BIT; that, too, is weaker than Article 12.2 of the draft BIT. Article 15.5(i) and (ii), final BIT. Government of India, Ministry of Finance, Department of Economic Affairs (Investment Division), Office Memorandum, “Subject: India’s Model Bilateral Investment Treaty Text” (28 December 2015). http://finmin.nic.in/reports/ModelTextIndia_BIT.pdf (accessed 1 March 2016). Sachin Parashar ‘India, US agree to restart talks on bilateral investment treaty’, The Times of India, 12 January 2015. http://timesofindia.indiatimes.com/india/India-US-agree-to-restart-talks-on-bilateral-investment-treaty/articleshow/45846021.cms (accessed 1 March 2016). Jane Kelsey is a Professor of Law at the University of Auckland, New Zealand.